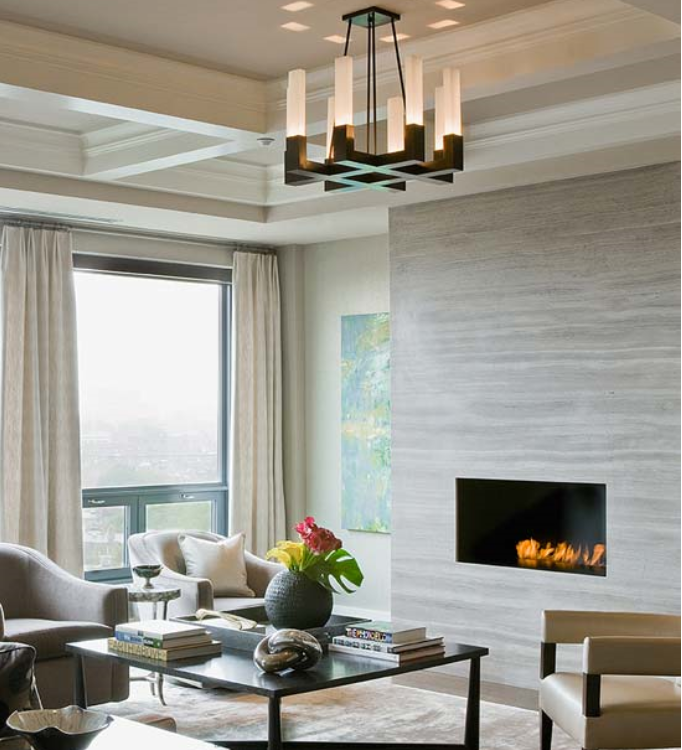 How to make a traditional fireplace more contemporary, 7 unique ideas with stone, marble, and mantles! 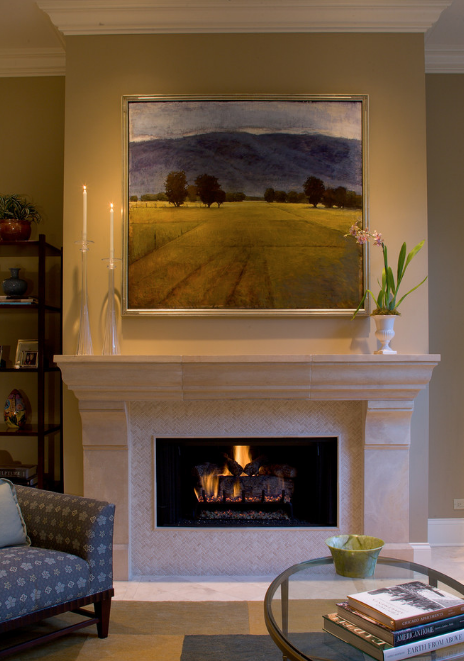 To update a traditional fireplace, we’ve featured 7 amazing photographs for inspiration. 1) It might be a simple upgrade, such as covering the brick with a lighter marble on the surround – as featured in this photo. Not interested in putting a TV in the big Niche the builder has in your fireplace? 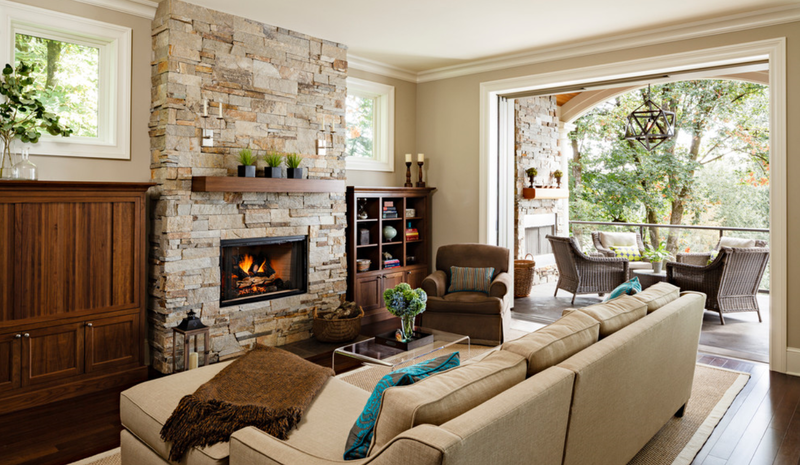 Do you have a fireplace idea you’d like to share? We’d love to hear your comments! Or if you have a question, be sure to email us instead. 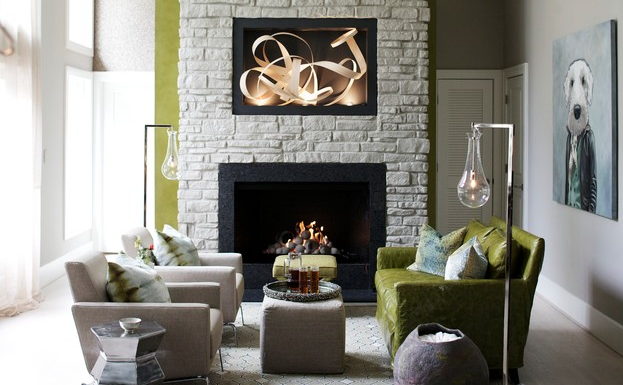 How to decorate with brick walls or a brick fireplace. 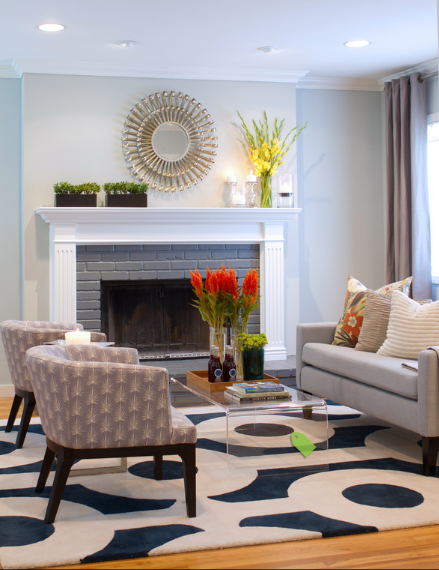 4 Design tips if you don’t want to paint your brick! Our new house has a brick fireplace that is visible directly from the front door so it would be a lovely focal point. It is currently painted the same beige as all the walls so it is pretty dull. The faux stone looks very pretty in your pictures. I'd also be curious as to effect of painting a different color or whether it is possible to tile over the brick for something dramatic.